The long awaited fifth studio album from Montreal based group the Dears is out tomorrow, February 15, 2010. 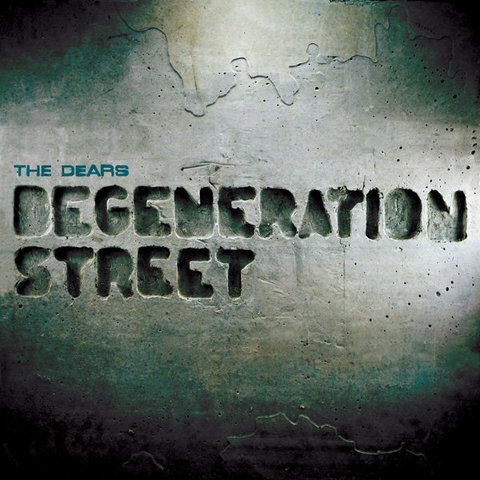 'Degeneration Street' marks the return of several band members who were absent from the band's previous album 'Missiles', including Patrick Krief, Rob Benvie and Roberto Arquila. The album features a sweeping collection of orchestral pop / rock that is at once enlightening, angst-ridden and mesmerizing. "Omega Dog" is currently the only single from the album which was released in October 2010.